The long hot summer of 2018 meant that plenty of people were able to enjoy some quality time out on the decking, and we’re expecting to see plenty of homeowners and businesses looking to revamp their outdoor space if they missed out last year. 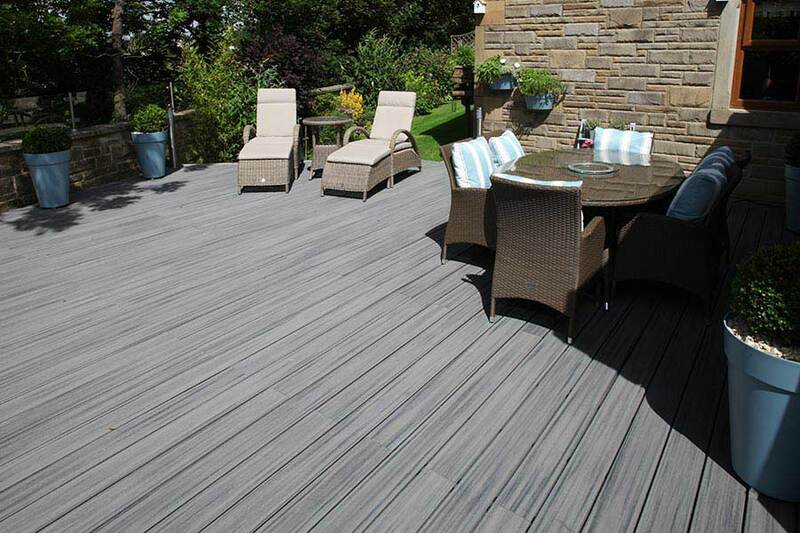 In fact, the decking trend isn’t showing any signs of slowing down, and thanks to the Arbordexperts Awards we were able to get a fantastic overview of the creative and beautiful decks that have been built up and down the country. We’ve picked out some of the key trends to watch out for this year that might help you plan the deck of your dreams ready for next summer! Last year we announced that Island Mist had been the most popular colour for 2017, and in 2018 grey tones remained the UK’s favourite neutral shade. However, many of our Arbordexperts Installer Awards entrants had made clever use of complementary or contrasting colours, pairing Island Mist with a Gravel Path border, or combining Spiced Rum and Torino Brown to add depth and interest to the deck. But the warm wood tones of Trex decking lend themselves to being used to contrast with as well as complement each other, so we expect to see more decks using contrasting shades, such as Gravel Path and Spiced Rum. The Arbordexperts judges loved North Spas’ ‘Best of Trex’ deck, an Island Mist and Gravel Path raised deck that was built around the stunning centrepiece of a luxurious hot tub. 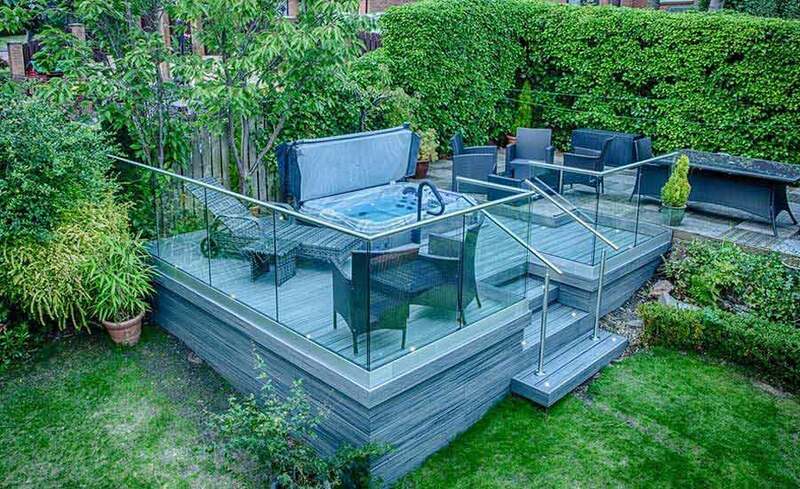 With its anti-slip and easy-to-clean qualities, Trex decking is ideal as a surround for hot tubs, water features or swimming pools. Garden design company Lucy’s Garden took the top prize at the Royal Norfolk Show with its peaceful show garden, which used Island Mist decking alongside a rippling water feature, while North Spas also took the accolade in the Best Small Deck category for a project featuring an Island Mist deck surrounding a tranquil koi carp pond. Both North Spas and Lucy’s Garden’s designs also made use of shaded areas, which we expect to be a real trend for this year, especially if the summer lives up to last year’s standards! North Spas’ koi pond deck had a beautiful pergola which added an extra dimension to the deck, and Lucy’s Garden’s Norfolk Show prizewinning garden had a stunning arbour seat at its centre, providing a comfortable spot to relax in the shade. 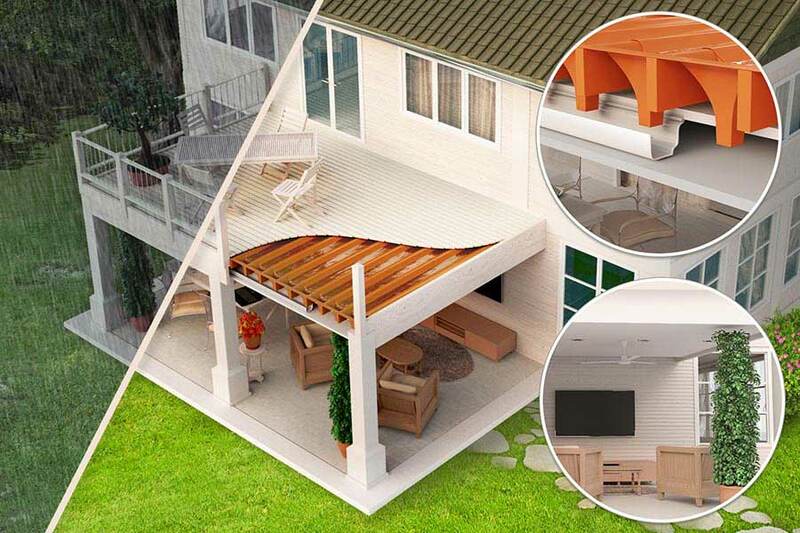 The use of a pergola can also be used to create a covered area that transforms the deck into an outdoor room that can be used all year round. By far the most exciting trend for the new year is set to be high-level decking: a deck built on a raised level with space for a covered outdoor room or orangery underneath. These impressive structures create an all-weather outdoor space, with the exposed Trex deck acting as a suntrap and the covered area beneath ideal for drizzly summer days, or even for those who want to keep out of the sun. The Trex RainEscape system makes creating a ‘duplex deck’ simple, as its system of troughs and downspouts drains water away from the deck, keeping the ‘ground floor’ of the deck dry and safe from the elements. RainEscape is fully hidden from view by the decking, so it’s both beautiful and functional, and works with any Trex decking product. 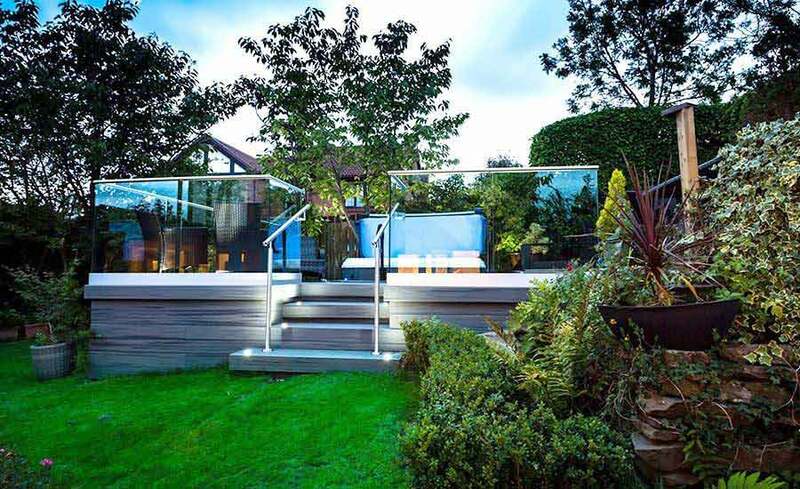 Expect to see more and more raised-level decks gracing UK gardens in 2019 and beyond!